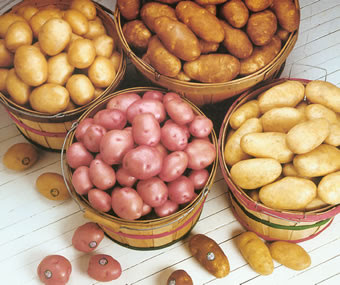 Life Down Our Lane: It feels like potatoes! Wednesday morning started off just like any other day. My alarm went off at 6 am. I stumbled out to the coffee pot to get my first cup for the day. Proceeded to get myself ready, then snuck in some quick blogging time before I had to go wake my little girl up. I woke Grace up at 7:15 am and got her dressed, hair fixed and teeth brushed. We then proceeded to Gauge's room to get him up. The second I cracked the door open.....I knew!! Grace said "EWWW, it's stinks in here!" I flipped the light on and my precious little boy, his bedding and his crib rails were covered in puke! I left him standing there and went to start the water in the tub. I came back and stripped him down while he was still in the crib then carried him at an arms length into the bathroom. After I got him cleaned up and dressed, I proceeded to takle the disgusting mess in his bedroom. Needless to say, I called work and told them I wouldn't be in and the kids wouldn't be at school. Gauge was perfectly fine the rest of the day. He played and laughed like nothing had ever happened. Thursday we all went to work and school. Everyone was well. My Mother-in-law invited us all over for pizza that night. Grace and Gauge had a great time playing with their cousins, grandma and their aunt and uncle. We came home and got the kids bathed and in their jammies. Gauge went to bed without a problem. Grace climbed up on the couch and said "Mommy, my tummy hurts!" Mommy: "What's it feel like?" Grace: "It feels like potatoes." Anytime she doesn't feel good, it feels like potatoes :-) I didn't think much about it because sometime her tummy hurts just because she needs to go potty. She fell asleep on the couch beside Shawn and I as we watched Survivor. Grace woke up from a dead sleep and started puking everywhere! So, more laundry, more carpet cleaner, another bath later she was back on the couch beside daddy. Shawn called his boss to tell him he wouldn't be in on Friday because Gracie was sick. Fridays are terrible days for me to miss at work. I went to bed because I had to work the next day. Grace ended up being sick a few more times that night before finally going to sleep. She woke up once at 3 am looking for White Doggie who was in the dryer. I got him and put her back in bed. Despite giving Gauge cough syrup before he went to bed, I could hear him on his monitor coughing and coughing the entire night!! Bless my sweet little hubbies heart, he stayed home with 2 sick kids today while I went to work. Gauge ended up getting sick during his nap. My poor hubby had more laundry! Thankfully my mother-in-law came out and brought 7-up and Pedialite. Now it's 4:30 pm, Gauge is sleeping in his crib, Grace is asleep on the couch, Shawn is taking a nap in our bed....now I'm off for a few winks of shut eye. Who knows what our night has in store for us. Pray that we have a peaceful well rested evening...oh and that Shawn and I don't get sick! Oh my goodness! I'm laughing (sorry!) because I'm glad to hear that such ridiculous stuff doesn't only happen at our house! Hope it ends here and you all do have a good weekend! What a whirlwind of sickness!!! Hope they all feel better soon and the parents get some sleep! I haven't had to clean up major puke yet, just lots of spit up. I'm not sure how I'm gonna handle it when it happens. Ewwww.